Many parents would love to protect their children from all the harsh realities of the real world, but sadly this is not always possible. Sometimes children have to deal with the death of a close family member or friend, or a major loss of another kind such as losing a parent after a divorce, or moving to another area and leaving friends behind. Grief is the emotion we feel after a major loss. Grief is often associated with death but it can be caused by any kind of loss. Children experience grief just as adults do, but they may not express it in the same way. Dealing with a bereavement at a young age does not normally impact psychological well-being in the long-term, but in some cases, grief may have lasting effects into adulthood. In order to help children work through their feelings of grief, it’s important to learn how to recognise it and understand different ways to help them cope. How Do Children Experience Grief? Just like adults, no two children experience grief in exactly the same way. Grief affects children in different ways depending on their age – a young child will react very differently to the death of a parent than an adolescent, for example. Children often express their feelings of grief through their actions because they’re unable to or unwilling to express it in words. Adolescents may start rebelling or engaging in risky behaviours. Very young children don’t really understand the concept of death and may constantly ask questions about where the person is and when they’re coming back. From the age of around 8, children start to understand what death means and that it’s permanent, but this may also lead to fears that they themselves or others close to them might die. It’s common for children to express grief in a different way than adults. They may not cry at all or may cry initially and then seem to quickly return to “normal” when others around are still very upset. This can lead some adults to think that children get over their grief very quickly or don’t need to process their feelings because they’re too young to really understand what has happened. Of course, this isn’t true and it’s just as important to acknowledge and provide support for grieving children as it is for adults. 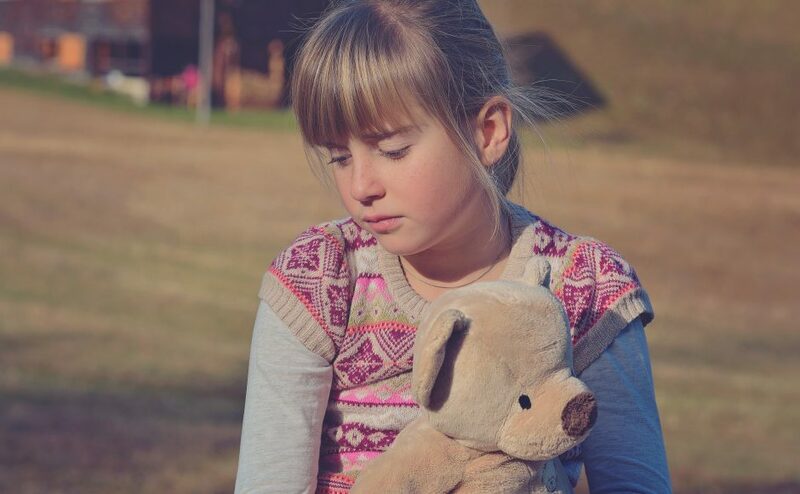 Nobody can make the painful feelings of loss go away completely, but parents, teachers, and other caregivers can help children to process their feelings and deal with grief in a non-destructive way. Listen and allow children to talk about their experiences and their feelings. Try to maintain normal routines to provide a stable and predictable environment and a sense of security. However, allow plenty of time for each child to go through the grieving process and don’t force them to resume normal activities before they’re ready. Answer their questions about death or loss truthfully and with clear, easy to understand information. Children often have a lot of questions about what happens after someone dies and these questions aren’t always easy to answer. It’s best to combine factual information about why people die and practical details of the funeral with your family’s own beliefs about what happens to a person’s soul after death. Avoid using terms like “gone away” or “went to sleep” to describe a death that young children may find confusing and take literally. Reassure the child that whatever happened isn’t their fault – guilt and self-blame are common reactions for children dealing with loss. Be caring and supportive at all times, even if the child is acting out or engaging in negative behaviours. Books can be helpful at explaining death in a child-friendly way and helping children to work through their feelings. There are some suggested titles at GriefNet. Encourage building memories of someone important who has died by looking at photographs and talking about them together. In addition to providing support at school and home, professional grief counselling can be very effective at helping children to process their feelings and get through the grieving process. Working with a counsellor can be particularly effective if the whole family is trying to cope with a loss and you’re trying to work through your own grief at the same time as supporting your child. To find out more about grief counselling for children and how it can help, contact our Perth clinic in Dianella to talk with a trained counsellor.